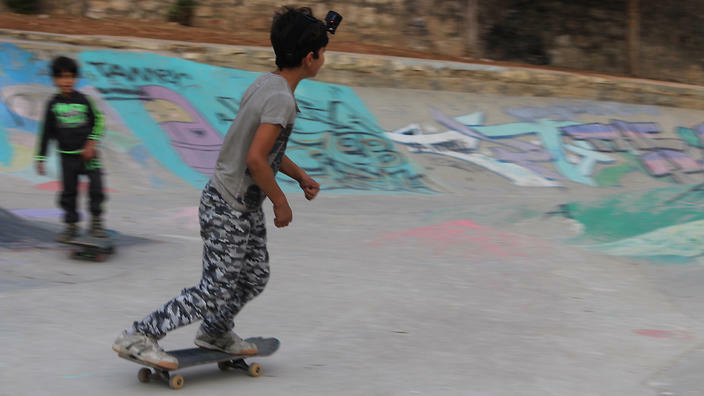 A young boy teeters on the edge of the 7hills skate ramp in central Amman. He eyes each of his friends with a mixture of pride and confidence. Without taking a breath he leans on his skateboard and drops into the ramp. Gliding seamlessly from one ramp to the other, and with his friends cheering him on, the boy seems proud of himself. Mohammed Zakaria, the co-founder of Jordan’s first skate park, is watching from the sideline. He says the park is important to promote confidence and break down cultural barriers. “Skateboarding is about building human connections,” he says. "Skateboarding is about building human connections." 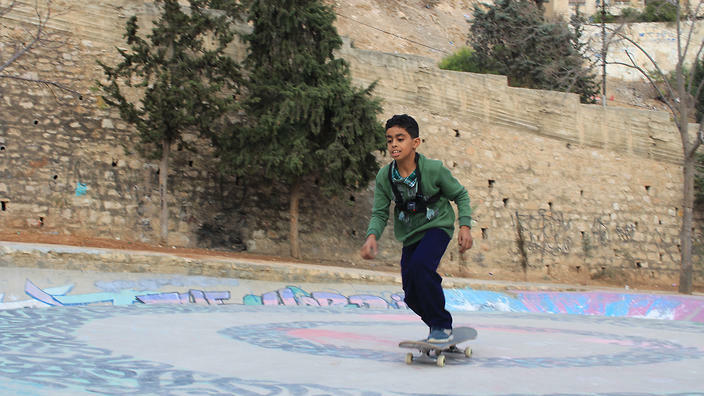 He believed Amman not only needed areas to skate but also spaces where cultural barriers could be broken down, especially among the community of refugees arriving from Syria, Iraq and Palestine. According to the UNHCR, Jordan currently hosts the second largest number of refugees per capita in the world, behind Turkey. Data published by the World Bank shows refugees constitute 41.2 per cent of Jordan’s population. The idea of the skate park is that it’s a community space. In 2014, Zakaria was approached by Arne Hillerns, founder and executive director of an NGO called Make Life, Skate Life, which uses donations to build skate parks around the world. Hillerns told Zakaria he wanted to build a park in Amman after learning of Jordan’s recent influx of refugees. Since opening to the public in February 2015, 7hills Skate Park has quickly become an outlet of expression for local youth. There are weekly classes for children from different backgrounds, which Zakaria says have been “very successful”. 7hills depends on donations from outsiders who see it as more than a skate park. Zakaria tells SBS he hopes to soon work part-time at the park, as well as begin construction on a second one in Zataari, a Syrian refugee settlement in Jordan’s north.